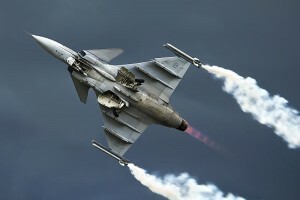 Brazil has come to an agreement with Saab for 36 NG Gripen fighter jets for $5.4 billion. The Saab fighter jets are set to be delivered between 2019 and 2024 and the deal represents one of the most valuable defense contracts on the market. “Since then all parties have negotiated to finalize a contract. Today’s announcement marks the successful conclusion of that process,” Saab said.